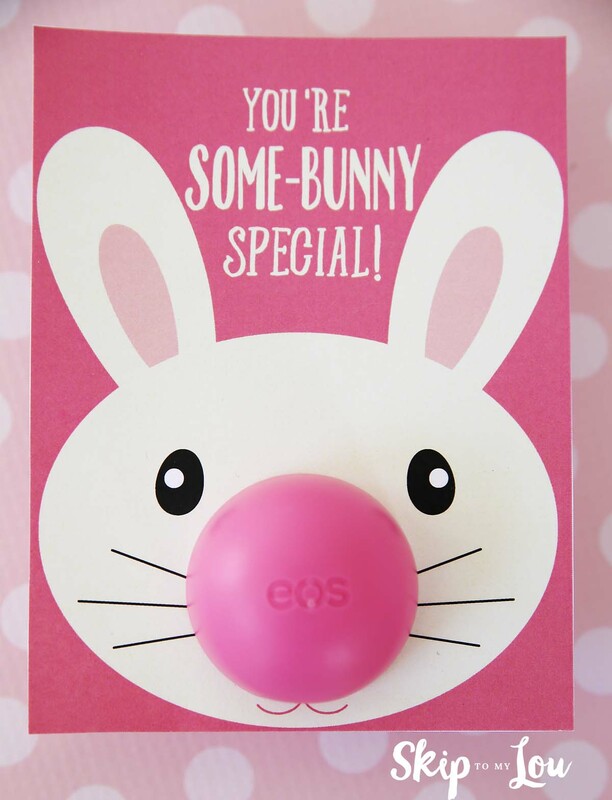 This Bunny EOS Lip Balm Gift is sure to let your friends know that you think they are “some-bunny” special. Make your friends feel special and also give them something useful! 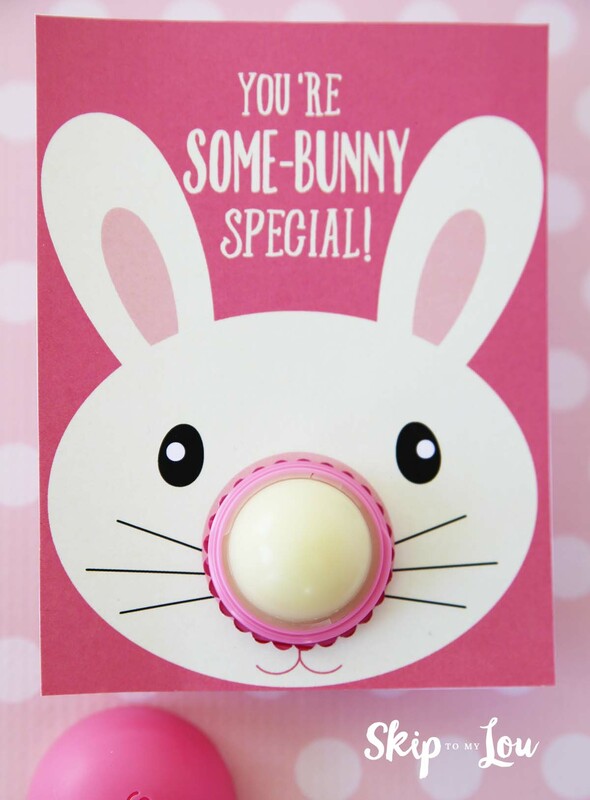 This “You’re Some-bunny Special” EOS gift would be cute tucked into an Easter basket or left for a friend or a party favor. If you are dyeing Easter Eggs this week you will get the brightest eggs with this egg dye recipe, no need to buy a kit at the store. Also here is exactly how to make the best hard boiled eggs! 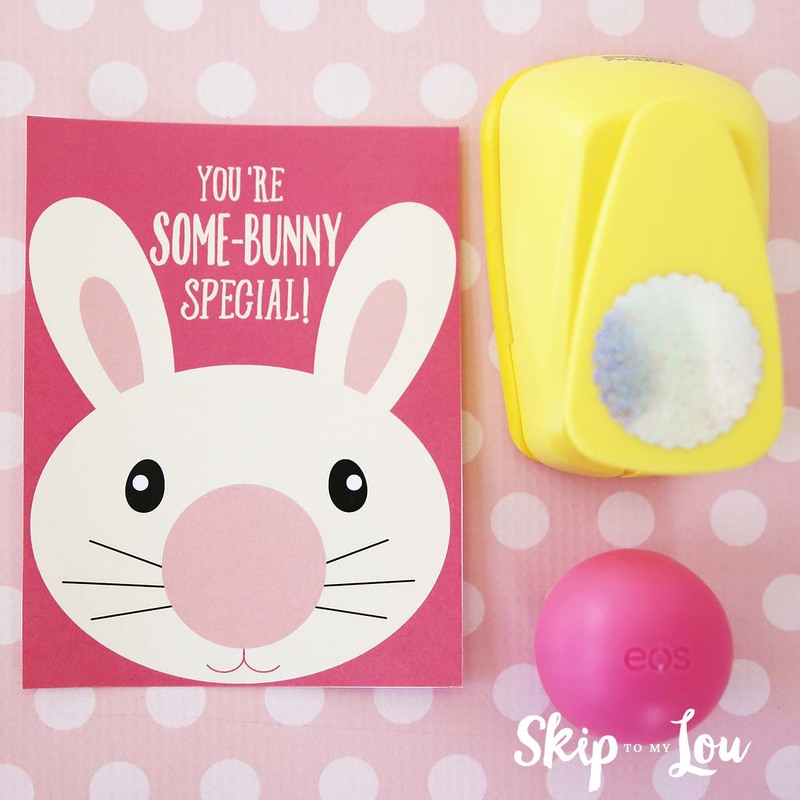 The free printable makes gifting and EOS lip balm super easy! 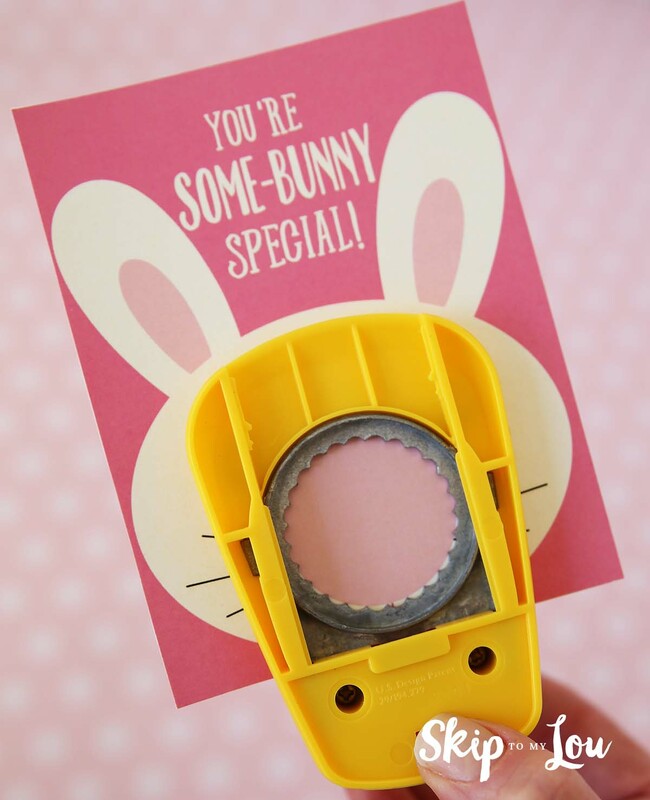 All you need is an EOS lip balm, a circle punch and the printable. Download the EOS Lip Balm printable. Print in color on white cardstock. With a circle punch remove the circles. The punch I think is listed as being 1 1/2 inches. I think it measure closer to 1 1/4 inch. It works perfect. I also tried a 1 1/2 inchplain circle punch. It works but is slightly bigger than it needs to be. Here are some fun Easter Egg Ideas for kids you might want to try!